In a month’s time the city centre will probably be bursting at the seams… the seams of the rainbow flag, a symbol of the LGBT community. Roughly three million visitors are expected to arrive in Madrid to celebrate WorldPride, a huge party that draws massive crowds demanding the right to love without labels. Further to its commitment to diversity, from today on the Thyssen-Bornemisza Museum now offers an audio guide in Spanish and English that takes visitors on a queer-themed tour of its collection. You can pick the audio guide up at the same time as you purchase tickets for the museum, for just four extra euros. Since Oscar Wilde turned the naked figure of Saint Sebastian into one of the most popular gay icons ever, any LGBT visit to a museum always includes the saint, who was martyred for refusing to renounce Christianity. The Thyssen-Bornemisza’s collection features several examples, but the one sculpted by Bernini at just 17 years of age is undoubtedly the most exquisite. The figure’s look of tranquillity, as if he had exchanged pain for pleasure, and the way his pose gives the impression of movement, as if at any moment he will collapse at the observer’s feet, make the piece an absolute must-see. 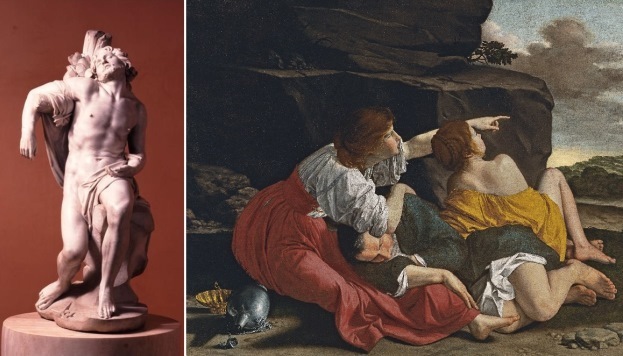 In the same hall you’ll find two other works that feature on the tour: Saint Catherine of Alexandria by Caravaggio, an artist who was accused of engaging in homosexual acts, and Lot and His Daughters, a piece from the studio of Orazio Gentileschi that shows the city of Sodom, condemned by God for the lustful nature of its inhabitants, burning in the distance. A quick tour of the museum reveals the homophobia that prevailed in our culture for centuries. For this reason, the courage behind the painting The Death of Hyacinthus is surprising. It was created by Giovanni Battista Tiepolo for Count Wilhelm Friedrich Ernst von Schaumburg-Lippe as a tribute to his lover, a Spanish musician who had been with him in Venice and had recently passed away. It is said that the two used to play tennis, a sport that first emerged in the late 18th century, which is why a racket is pictured in the lower right-hand corner. 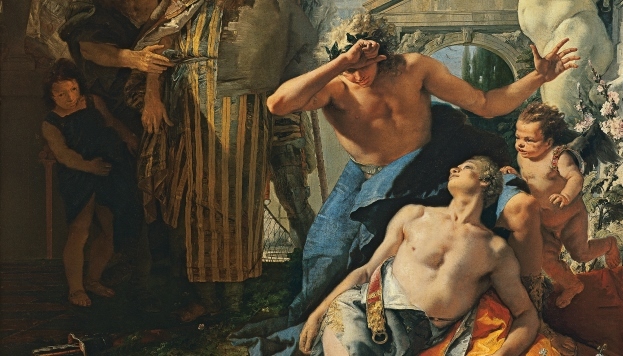 In his Metamorphosis, Ovid relates how Hyacinth died upon being accidentally struck by a discus thrown by Apollo, who was madly in love with him. Saint Sebastian, c. 1617. Bernini. (Property of Georg Heinrich Thyssen-Bornemisza). Lot and His Daughters, c.1621-1623. Studio of Orazio Gentileschi. © Thyssen-Bornemisza Museum, Madrid. The arrival of modernity, however, also brought the acceptance of new forms of love. Polish pianist Misia Godebska had various husbands, including Spanish painter Josep María-Sert, who fell in love with sculptor Isabelle Roussadana Mdivani just a few years after the marriage. Misia, however, held such an open view towards relationships that she decided to accept a civilised ménage à trois. The portrait that Pierre Bonnard did of her is displayed in the halls that the Thyssen-Bornemisza Museum devotes to Post-Impressionist painting, very close to a drawing by Kees van Dongen dedicated to Kiki of Montparnasse, the legendary androgynous 1920s Parisian model, and another by Pablo Picasso that belonged to writer Gertrude Stein. In those years Stein lived in Paris with her girlfriend, Alice B. Toklas, who was known in avant-garde circles for her extraordinary culinary skills. In the final halls of the museum, homosexual relationships become much more explicit. 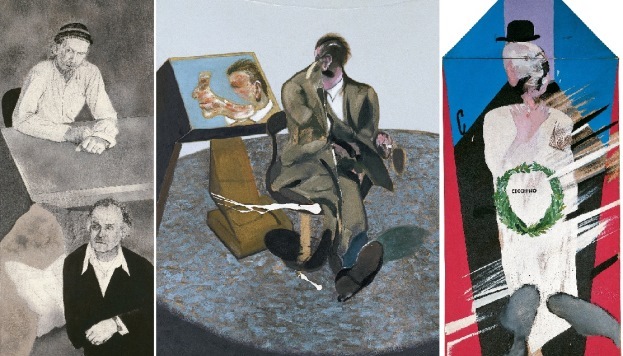 In addition to the portrait that Francis Bacon painted of his lover, the dangerous George Dyer – and I say “dangerous” because according to legend Francis met George one night when the latter broke into the former’s house to rob him –, of particular note is A Visit to London (Robert Creeley and Robert Duncan), a work by Ronald B. Kitaj that depicts two poets devoted to individual freedoms. Robert Duncan wrote an important essay advocating homosexual rights in 1944, decades before the first manifestations were sparked by the Stonewall riots of 1969, which were the origin of the WorldPride that we are set to host in June. A Visit to London, 1977 © R.B. Kitaj, courtesy of Marlborough Gallery, New York. George Dyer, 1968. © The Estate of Francis Bacon, VEGAP, Madrid. In Memoriam of Cecchino Bracci, 1962 © David Hockney. This audio guide offered to us by the Thyssen-Bornemisza Museum in Spanish and English not only reclaims the memory of diverse forms of love, but it is also an extraordinary exercise in scholarship; a wonderful way to view the museum’s permanent collection from an LGBT perspective. The Dream, c. 1905. 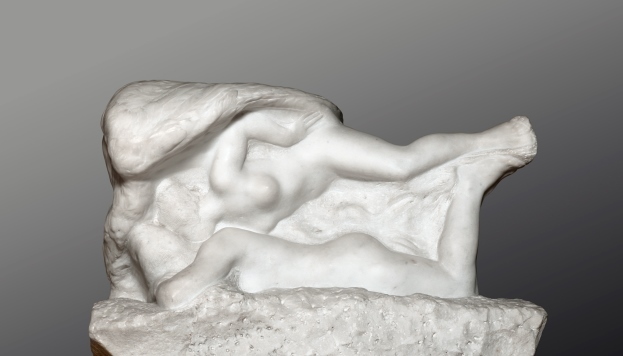 Auguste Rodin. © Carmen Thyssen-Bornemisza Collection, on deposit at the Thyssen-Bornemisza Museum.